Once we have understood the origins of the festivity and what are the monuments all around the city, we are going to explain the activities that the visitors can follow during Fallas. In Hispania, escuela de español, as in the rest of the schools that belong to the Spanish Federation of Schools of Spanish as a Foreign Language, we know that all the foreign students are curious about why Valencian people love noise and burning things. 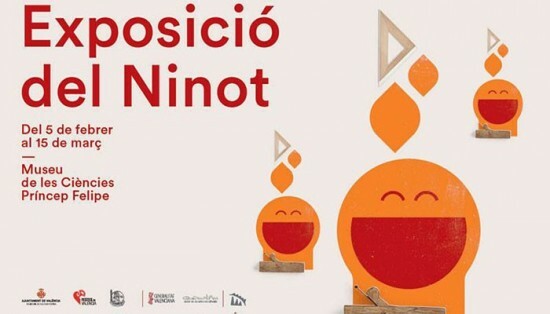 From February you can visit the “Exposición del Ninot”, this year hosted by “Museo de las Ciencias Príncipe Felipe”. Every adult and child commission bring a “ninot” puppet in representation of the whole Falla. At the end of the exhibition period the visitors choose the best “ninots” in each category. The “Cridà” ( that means calling in Spanish) is the event that indicates the begining of the Fallas period. It takes place the last sunday of February in Torres de Serrano – old doors of the medieval town-, where the falleras mayores announce the begining of Fallas and invite foreign people to come to the city. With the daily “mascletà” at 14h in Plaza del Ayuntamiento of Valencia you’ll be easily joining the party even if you don’t belong to any of the commissions. Another good idea is to walk through the streets of the city from the 15 of March —a good way to discover the witty proposals of the artists— or to try tasty chocolate “amb bunyols” —pumpkin doughnut, a sweet made of flour , oil, with a touch of orange and pumpkin, dressed with sugar— for breakfast or snack. An amazing spectacle of music and lights in the neighbourhood of Ruzafa attractsevery year a lot of visitors. You cannot miss the electric light displays of the streets Sueca, Cuba and Literato Azorín. Another highlight for the tourists –also loved by Valencian people– is the Fireworks. This year they are taking place in Alameda, near Jardines del Turia, during the nights of 16th, 17th and 18th of March. The last night, called “Nit del Foc” is the biggest and the most popular. 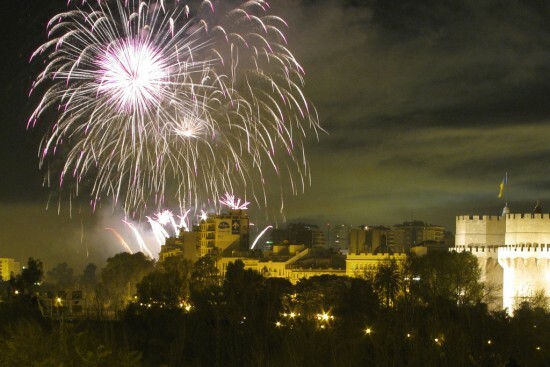 Moreover, the night of the 12th of March a fireworksspectacle will take place in Plaza del Ayuntamiento. On the 17th and 18th of March afternoons all the falleros walk through the streets with their regional dresses to offer flowers to the Virgen de los Desamparados. It´s a good moment to see falleros traditional dresses on the parades. The commissions divided by districts –almost 400- arrive to Plaza de la Virgen from all around Valencia walking together accompanied by their music bands. The Cabalgata del Ninot is the prelude to the “semana fallera”. It takes place on Saturday 5th of March, starting from the Glorieta and goes around the main streets of the city center. Every commission and Junta Central Fallera organizes a parade with floats and musical performances. On the afternoon of 19th of March, before the ending of Fallas, there is another parade –“cabalgata del Foc”– coming down Colon Street. This is the most beautiful recreation of the first fire rituals that gave birth to Fallas. The Cremà of the child fallas begins at 10pm, and the big ones at midnight. An intensive cycle that starts over every March in Valencia.